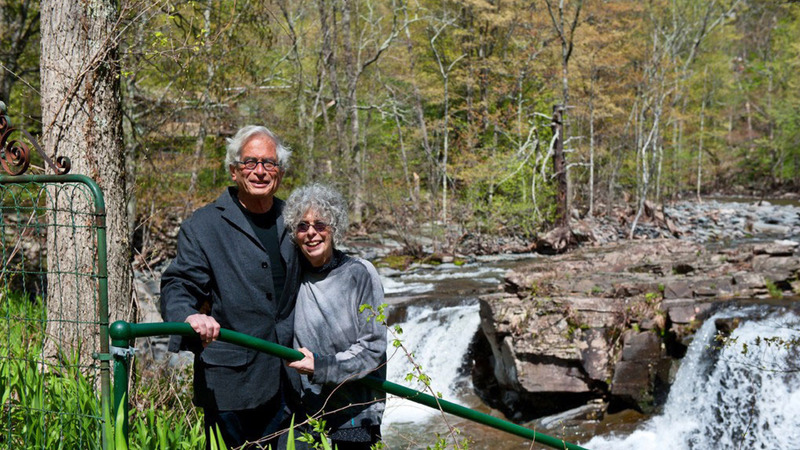 Bob and Babs fell in love with the Waterfall House after September 11th sent them upstate to the Catskill Mountains. A delightful home perched on Niobi Falls, The Waterfall House has the most amazing views and private waterfall access with an amazing swimming hole. The property is like no other, truly a water front paradise. A number of years later the little cottage just downstream became available and after a full renovation A Stream Side Cottage was added to Bob and Babs vacation rental business. This cottage which boasts an open floor plan, downstairs master bedroom and room for 6, has a small seasonal pool and an amazing view of the Katterskill. Just two hours from NYC, in the quiet hamlet of Palenville, these two beautiful homes are yours to enjoy.